The State Science & Technology Institute (SSTI), a national nonprofit organization dedicated to improving initiatives that support prosperity through science, technology, innovation and entrepreneurship, has awarded New Jersey Innovation Institute’s Health IT Connections program the Creating a Better Future through Competitive Industries award for its work to grow the state’s regional health IT ecosystem. The Health IT Connections program makes connections among entrepreneurs, service providers, hospitals, patients, government agencies and anchor institutions. The program reports a high percentage of female and minority founders (more than 20 percent) and job and revenue increases of more than 40 percent after its second year. Since 2014, The Health IT Connections program has provided support to individual entrepreneurs in a cohort-based peer-to-peer and 1:1 coaching program, as well as simultaneously growing and developing the overall regional health IT cluster. 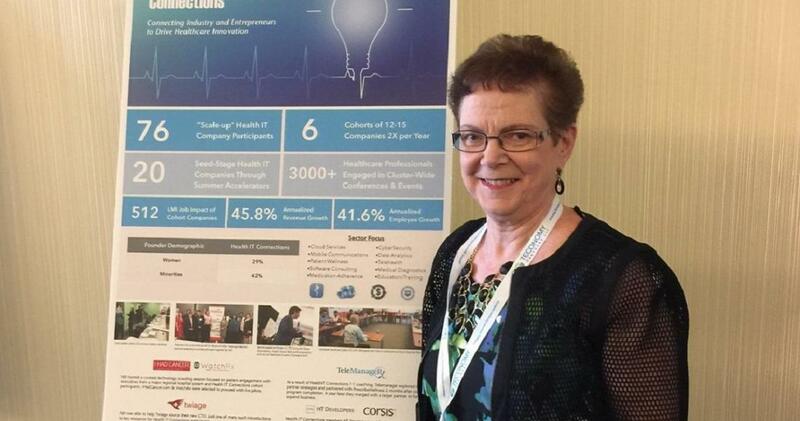 To date, 76 individual companies have participated in the Health IT Connections cohort program and over 3,000 individuals have engaged in general cluster development activity. The cohorts have achieved significant job growth and revenue increases positively impacting the industry cluster. NJII’s Health IT Connections program is currently recruiting cohort companies for Fall and Spring with training provided by Program Manager Travis Kahn in conjunction with Professor Michael Ehrlich from the NJIT Martin Tuchman School of Management. Interested companies can learn more about the Health IT Connections program and apply for participation in the cohort at: http://njii.com/healthit/.